After viewing this video, I will be bringing my Chromecast to ABA TechShow this year. Hopefully, the projector will have an HDMI port to plug in my Chromecast, and I will connect to my personal WiFi network and project a VR session on the big screen. Google Now gains integration with 40 third-party apps | Android and Me. Google Now already keeps me up to date with a swipe of my finger. It gives me the birthdays of significant persons in my life, the current weather, scores and updates for all the sporting events I am interested in, the current shipping status of my orders, times to the theater, reminders when to leave, tickets for events, and much more. Now, it will integrate with my favorites on Pandora, and many other third-party apps. Hey, there is a distinct Big Brother risk with this stuff. But, given adequate controls, it is the future. Five Thoughts on the Future for Solo and Small Firm Lawyers - Attorney at Work - Attorney at Work. I agree with the points made in this article by Jim Calloway, and his interviewee, Professor William Henderson. 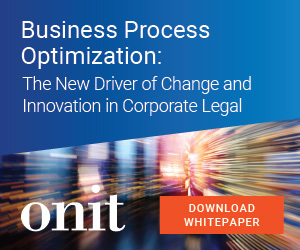 Success in the future for solo and small firm lawyers depends upon effective use of technology, efficient ability to provide access to everyone, increased efficiency in operations of the office, effective delegation, and asset control. However, why not look beyond the solo and small firm outward to the world. What is the future for the legal profession? As technology makes many of the above goals achievable by the individual lawyer, his dependence on a group of lawyers lessens. 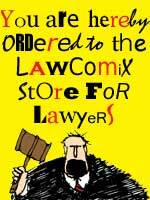 Too many large law firms become institutions, and amorphous collections of personalities and fiefdoms. The practice of law is a one to one relationship between attorney and client, and the solo can best nurture that relationship. In the past, large organizations were required to provide the administrative, technological, and other support to allow the solo to do her job. Today, if you want to do it all, you can do it with the power of the Internet, computers, and other tech. John Donne was right that no man is an island. However, with the right technology, I can do pretty well on my island. ABA TECHSHOW 2015 | Fashion Dos and Don'ts ... How Will Wearable Tech Work In Your Law Practice? ABA TECHSHOW 2015 | Fashion Do%u2019s and Don%u2019ts %u2013 How Will Wearable Tech Work In Your Law Practice?. Robert Sisson and I will be talking about Wearable tech for lawyers at ABA TechShow in Chicago on April 17th. I will also be doing a panel on Android for Lawyers on the 18th. If you are in or near Chicago then, let me know, and we can get together. I will also be demonstrating the Galaxy VR glasses in between sessions. I actually do this, since I put the router in my home office. Vision Quest for the Legally Blind | Transparency. As my readers know, I have an interest in augmented reality and virtual reality, and have enjoyed using the Samsung Galaxy VR glasses for virtual travel, and viewing 360 degree videos, in addition to some fun games. However, the pursuit of augmented reality isn't just for fun, and I have always attempted to apply what I have learned about wearable computing devices to my life and to my profession. There is a whole galaxy of reasons why this technology is important; and, it begins with human frailty and the aging human body. As we grow older, our eyes slowly lose their effectiveness, and, in many, virtual blindness is the result. Now, using specially equipped Epson Movio Glasses, the blind are able to distinguish and identify shapes, and much more. The future is bright for SmartGlass technology. James Stockdale - Wikipedia, the free encyclopedia. When asked who survived in the Vietnam POW camps, James Stockdale said the "optimists",because, after their hopes kept getting dashed, they died of a broken spirit. He survived because, while never losing hope at the final outcome, he dealt realistically with each day, and each situation. This dual philosophical approach to life informed his every moment, and he credited to his years of imprisonment. The Future of Wearables Isn't a Connected Watch | WIRED. I disagree with Matt Honan about the utility, or lack thereof, of connected wearables. He has a drawer full of early devices that he never recharged because they only did what he could do with his phone. However, I love the fact that I don't have to pull out my phone to take calls anymore, or to know when I have a text, email, or other notification. I can choose to find and take out the phone, or I can just continue on. Where I agree with Mr. Honan is in the future of wearables. Ultimately, wearables will be invisible. They will be incorporated in just about everything we wear or touch, and will do one thing well. His examples of medical monitoring devices, and haptic feedback gloves are spot on. Connected wearables are only going to proliferate, however, until we can figure out a way to implant them in our heads. Microsoft Excel for Tablet - Android Apps on Google Play. And, last, but not least, the official version of Excel, formatted for your Android tablet. If you are into spreadsheets, and you want to spend the whole plane ride crunching numbers, this is the spreadsheet for you. Of course, you can always use the real official Windows version on your Windows tablet. But, variety is the spice of life, right?